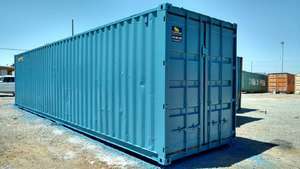 We have some new build 20ft long x 8ft x 8.5ft containers for sale. The have only been used once to carry a cargo to the RSA. These containers are fully CSC plated to be shipped and can carry 30t load. • 20ft x 8ft x 8.5ft – Reefers. …our containers are all waterproof and fire resistant.